This is my January 2019 FFJ Portfolio dividend income update. The portfolio was created in January 2017 for the purpose of demonstrating how investing in high quality companies with competitive advantages and with a record of consistently increasing dividends can assist investors in reaching their long-term financial goals without the need to speculate or to chase dividend yield. By being able to reasonably accurately forecast future cash inflows, it is possible to reduce stress levels related to finances. Furthermore, consistency and predictability on the cash inflow front will provide households with the opportunity to make decisions that might be otherwise impossible if cash inflows are subject to wild variances. Another month has elapsed and time to check on the status of the FFJ Portfolio. Subscribers can click here to view the FFJ Portfolio’s holdings as at December 31, 2018 and January 31, 2019 and here to view the FFJ Portfolio’s monthly dividend income on a company by company basis for 2018 and 2019. 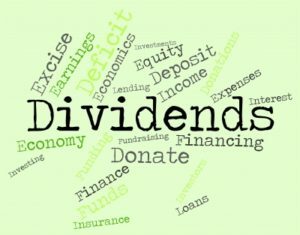 In my December report I had set the following FY2019 dividend income targets. These targets are by no way ‘stretch’ targets and I expressly set easily achievable targets for the following reasons. My intent is to acquire fairly valued or undervalued shares in good companies. If Mr. Market happens to be irrational and nothing is attractively valued then I see no point in acquiring shares just because I set a dividend income target. I could acquire high dividend yielding shares/units so as to help me reach my dividend income target but chasing yield is fraught with risk. As a retiree with absolutely no interest of ever returning to the workforce because of financial need I will most certainly not invest in several of the companies I have seen recommended on other financial websites; I recently wrote about two such companies in this article. Canadian National Railway (CNR) just recently announced a ~18.1% increase in its dividend. 3M (MMM) and United Parcel Service (UPS) can also be expected to announce dividend increases very shortly; I am of the opinion the increases will be in the 10% range. Dividend increases from other companies held in the FFJ Portfolio are also expected to be announced shortly. The holdings within the Core Accounts of the FFJ Portfolio generated CDN $1,805.33 and USD $757.89 while those in the Side Accounts generated CDN $1,590.34 and USD $1,209.07 for a total of CDN $3,395.67 and USD $1,966.97. Apple (AAPL) - acquired 300 shares at $143.6168/share. Berkshire Hathaway (BRK.b) - acquired 25 shares at $195.7599 and 24 shares at $196.01. Stanley Black & Decker (SWK) - acquired 150 shares at $ 116.99/share. There were no sales and I entered into no option transactions. That’s my roundup for January. Here’s hoping for another nice market correction. On a final note, I wish you much success on your journey to financial freedom!